The City of Pleasanton will hold its first General Service Administration (GSA) Procurement Workshop on May 31, 2018, at 11:30 a.m. – 1:30 p.m., at the Pleasanton Civic Center. 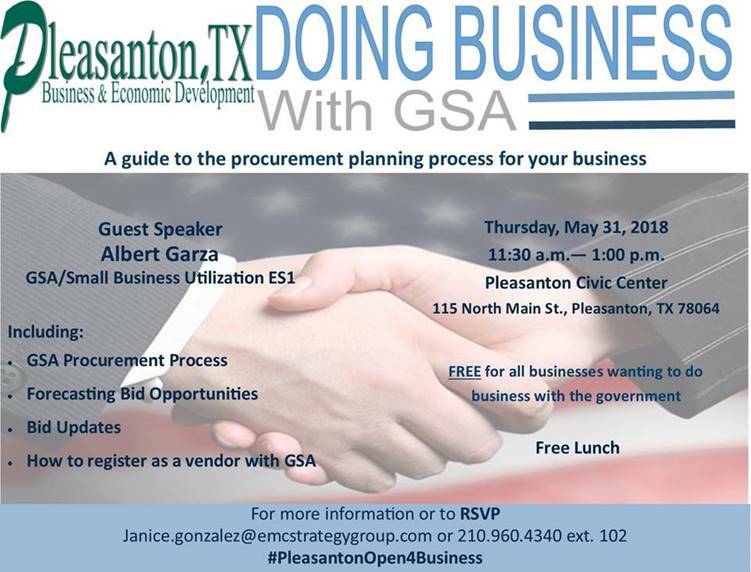 The Pleasanton-GSA Procurement Workshop is free and open to any person or small business that would like to do business with the federal government. The workshop will feature: GSA registration, GSA procurement process, bidding process, forecasting bidding opportunities, and bid updates. 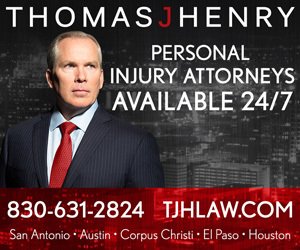 Lunch and informational packets will be provided at the workshop. “We are very excited about offering this procurement workshop in Pleasanton,” says Johnny Huizar, Pleasanton City Manager. “Working through the government procurement process can be overwhelming for many, but our goal through this workshop is to have people better informed so that they can have the opportunity to seek and win government contracts,” adds Mr. Huizar. The city’s new Business & Economic Development Consulting Firm, EMC Strategy Group, LLC, is launching a multi-month Procurement Workshop Series this month that will include an array of Local, State and Federal Government agencies aimed at supporting and growing local businesses. For more information and to register for the Pleasanton-GSA Procurement Workshop, please contact janice.gonzalez@emcstrategygroup.com.